Pioneers in the industry, we offer fx5u-32mr/es compact plc, ng16adl compact plc, gc35mh-32mt-ds compact plc, mitsubishi plc, fx5u-32mt/es compact plc and fx5u-32mt/ess compact plc from India. This manual describes the part names, dimensions, installation, cabling and specifications for the product. This manual is extracted from Melsec iQ-F FX5U User's Manual (Hardware). Refer to Melsec iQ-F FX5U User's Manual (Hardware) for more details. Before use, read this manual and manuals of relevant products fully to acquire proficiency in the handling and operating the product. Make sure to learn all the product information, safety information, and precautions. And, store this manual in a safe place so that you can take it out and read it whenever necessary. Always forward it to the end user. Keeping in tandem with the ever-changing market demands, Mitsubishi Electric India introduces Nexgenie 1000 PLC with ultra-fast CPU. With a technologically compact design, it is devised for exceptional performance and hassle free functionality. Embedded with innumerable features, it is equipped to address a wide range of industrial applications. Models with or without Visual Access Window (VAW). Interrupt Events with HSC Compare, Zero Crossing etc. On-the-fly Event Enable, Disable, POU Assignment Control via Application. 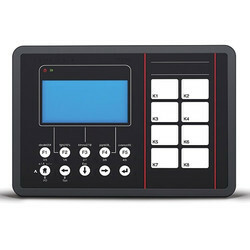 Thanks for choosing Graphic Operation Controller (GOC), a micro range of controller which consists of PLC function, HMI function and illuminated keys embedded. 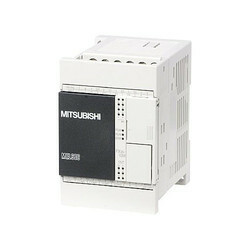 User can attach I/O extension units (up to 2) and COM extension units (up to 2) to add I/Os and to enhance functionality. It is designed to cater most of the automation requirements of any small size, standalone machine. Before installation and wiring of Main unit, please read this manual carefully for safety precautions, specifications, dimensional details, installation and wiring guidelines. Read and understand the manual carefully before controller use, to avoid damages to persons, property and environments. Ensure safe and proper usage of this controller. The qualified personnel should only install and operate the controller. The personnel should be aware of all safety of automated products and completely familiar with all associated documentation for the said controller. Manual should be located at the easily retrievable location for reference. Also, share this manual with the end user of this controller. This controller should be considered as Industrial waste. Product packaging consists of Main unit, installation manual, mounting template and 4 mounting clamps. Main unit is dispatched with all the terminal blocks attached to it and default slide-in label inserted. Slot covers are attached to I/O slots and COM slots. The figure below shows model GC35MH-32MT-DS with 2 terminal blocks each for inputs and outputs. 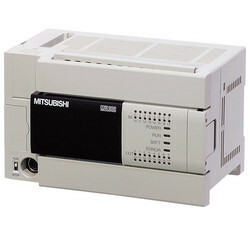 Model GC35MH-16MT-DS provides 1 terminal blocks each for input and output. Make sure to cut off all the phases of the power supply externally before attempting installation or wiring work. Failure to do so may cause electric shock or damage to the product. Maintain proper thermal distances between equipments producing heat (like heaters, transformers, etc) inside the control panel. Do not install controller above such equipments. Exposure to humid environment for a long time can reduce component life. It may cause corrosion of electrical and electronic components, or may lead to shorts or malfunctions. Do not expose controller to humid atmosphere for an extended period. Avoid controller exposure to excessive or continuous vibrations or shocks. Failure to do so may cause disenguagement of PCB components, sockets, on-board soldered components etc. from their counter positions. Cover unused slots (IO and COM) to protect them against dust, moisture and ESD (Electric Static Discharge). 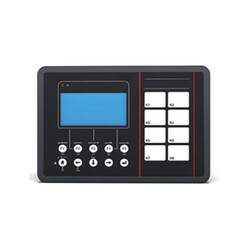 Use controller within the range of general and technical specifications. 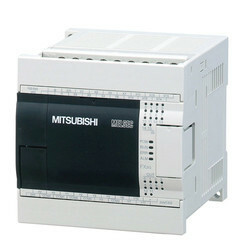 Mitsubishi India PLC is the pioneer of indigenous PLC technology and has given the world many new-age automation products. The backbone of Messung Systems is its R & D division that is fiercely dedicated towards creating automation products that can completely transform factory working. Today Mitsubishi India PLC boasts of 35,000 successful PLC installations in diverse industries like automobile, pharmaceutical, plastic, textile, printing and food processing. With an enviable turnover and a string of delighted customers behind it, Messung Systems is moving ahead to give the world a whole new portfolio of next generation products. Nexgen-2000 PLC gives you the Convenience of Compactness with the advantage of Modular Power. Sleekly designed, it enjoys a distinct advantage of compact power along with innumerable features. NEXGEN-2000 PLC is designed to suit any application encompassing requirements from 14 I/0s to 128 I/0s (Free Mix) with a wide variety of I/O options. It integrates the benefits of small size controllers with the modularity of larger PLCs giving you a leading edge. It is coupled with a global standard Windows based IEC 61131-3 programming package with a variety of program editors for better structuring of large programs. With the option of open connectivity it can be matched with a technical challenge of any application need. Surely, Nexgen-2000 PLC is a product that gives you features you never thought possible. We offer FX5U-32MT/ES Compact PLC to our clients. We offer FX5U-32MT/ESS Compact PLC to our clients. We offer FX5U-64MR/ES Compact PLC to our clients. We offer FX3U-16MR/ES Compact PLC to our clients. We offer FX3U-32MR/ES Compact PLC to our clients. We offer FX3U-48MR/ES Compact PLC to our clients. We offer FX3U-64MR/ES Compact PLC to our clients. We offer FX3G-14MR/ES Compact PLC to our clients. 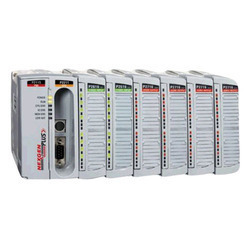 We offer FX3G-14MT/DSS Compact PLC to our clients. We offer FX3G-14MT/ESS Compact PLC to our clients. We offer FX3G-24MR/ES Compact PLC to our clients. We offer FX3GA-14MR/ES Compact PLC to our clients. We offer FX3GA-14MT/DSS Compact PLC to our clients. We offer FX3GA-14MT/ESS Compact PLC to our clients. We offer FX3GA-24MR/ES Compact PLC to our clients. We offer FX3S-10MR/ES Compact PLC to our clients. We offer FX3S-14MR/ES Compact PLC to our clients. 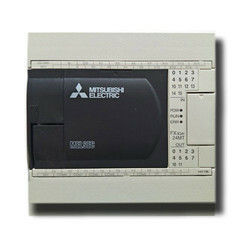 We offer FX3S-20MR/ES Compact PLC to our clients. 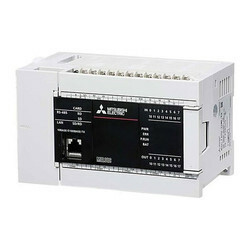 We offer FX3S-30MR/ES Compact PLC to our clients. We offer NG16DL Compact PLC to our clients. We offer NG14RL Compact PLC to our clients. 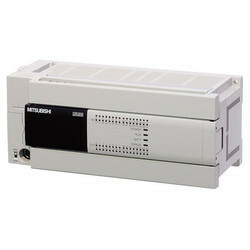 We offer NG16DN Compact PLC to our clients. We offer GC35MH-32MR-D Compact PLC to our clients. We offer GC35MH-32MT-DSS Compact PLC to our clients. We offer GC35MH-16MT-DS Compact PLC to our clients.